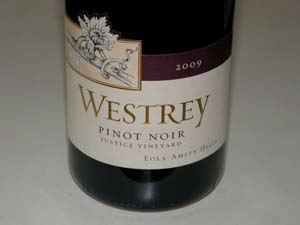 Initially Westrey owned no vineyards but sourced grapes from some of Oregon’s top vineyards including Croft, Abbey Ridge, Bethel Heights, Temperance Hill, Anderson Family and Laurel Hood. Amy and David farm 22 acres of Pinot Noir, Pinot Gris and Chardonnay at Oracle Vineyard, planted between 1977 and 2008, on their 50-acre parcel of land in the Dundee Hills. They named their vineyard Oracle our of reverence for the importance of "consulting the land first" when making decisions in the winery. The vineyard is adjacent Abbey Ridge Vineyard planted in 1977 by Bill and Julia Wayne, a fortuitous situation for they have worked with Abbey Ridge Vineyard fruit for several years. 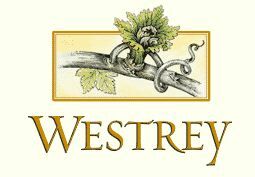 Starting with 400 cases in 1993, Westrey currently produces around 3,200 cases in a small winery in McMinnville, with a goal of reaching 6,000 to 8,000 cases over the next ten years. 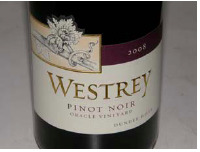 In their winemaking, new oak is kept to a minimum for Pinot Noir and Chardonnay. 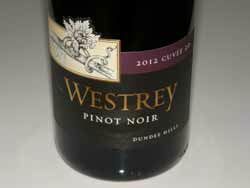 The Alsatian-inspired Pinot Gris sees no oak or MLF. 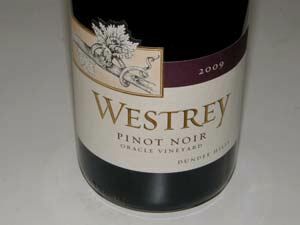 Their style is a departure from many Oregon producers with their emphasis on structure, balance, elegance, texture and aging potential. 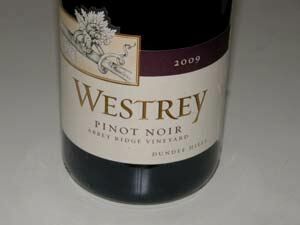 To that end, their wines tend to have higher acidity, a nod to their Burgundian training. 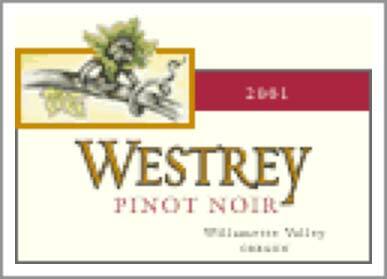 Westrey Wine Company is located at 1065 NE Alpine St, McMinnville. The phone is 503-434-6357. 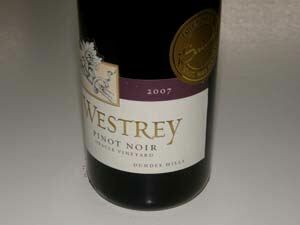 The wines, including older vintages are sold through retail channels. Prices are very sensible, ranging from $18 to $36. I am sure Amy or David would be happy to have you taste by appointment.